How can I fix my mold problem? We often receive questions about how to get rid of mold in homes or business properties. After all, we are the environmental consulting experts of Southern California – so it’s only natural that we receive plenty of inquiries about all kinds of issues. As always, we’re happy to help! First, let’s go in to what causes a mold problem to begin with. It helps to know the cause of a mold problem in order to eradicate it, right? Well, mold will not be able to grow unless there’s an excess amount of moisture in the air. 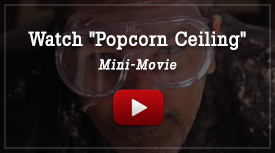 Determine the source of the extra moisture in the air of your property and eliminate it – voila! – the mold will stop growing right away. Many people don’t realize they have leaks in their homes or business properties that result in mold problems. The first step to eliminating this problem is determining the source of the problem so it will stop proliferating. Now you may be wondering, what’s the big deal? It’s just a little mold. If it doesn’t smell too bad, why should I worry about it? Depending on what kind of mold you’re dealing with, the effects on humans vary. 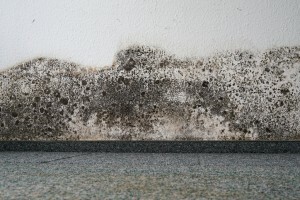 All types of mold can possibly affect health. Some molds even release mycotoxins which are very harmful to children, the elderly, and those who are immunocompromised. Identifying what kind of mold you’re dealing with is one of the first and most important steps to ensuring the health and safety of everyone on your property. But how will you know what kind of mold you have? And what if you have trouble locating the source of the excess moisture? It’s time to call in the big guns. We’re referring to the experts at H2 Environmental Consulting Services, of course! Our staff has been helping people just like you for over 24 years. We’ll gladly come to your home or place of business, conduct a thorough investigation of all contamination issues, and develop a thorough plan for eliminating any harmful materials found there. You’re in great hands with H2 Environmental Consulting Services. We have been handling mold, asbestos, fungus, lead, and other contamination issues in properties throughout Southern California for over 24 years. We have the experience and expertise to identify the type of mold your property contains, conclusively determine the source of the excess moisture, and eliminate the mold from your property. You’ll be able to really breathe easy when our workers have given the all-clear. Call H2 Environmental Consulting Services at (800) 524-3578 before your small mold problem turns into a big, expensive one. We handle all projects with equal attention to detail and commitment to service. No matter what you suspect might be lurking in your home or business property, rest assured that we’ll find any and all harmful substances, then remove and dispose of them according to state and federal laws. Call us at (800) 524-3578 to schedule your environmental evaluation today.